There is no darkness deeper and more complete than that which lurks within the hearts of men. Each word heard or spoken, each idle, passing thought, intensifies the blackness. Within the endless night the jagged pieces of shattered emotions lie glinting like broken glass, waiting to open the veins at any misstep or unguarded action. A current of anger and violence pulses through the pitch black shadows, ever ready to explode into a raging twilight inferno of shadow flames and, source unseen, a voice screams eternally over angular sounds of anguish. This is the sound of the limitless, lightless plains of internal hell. This is the sound of Feral Light. 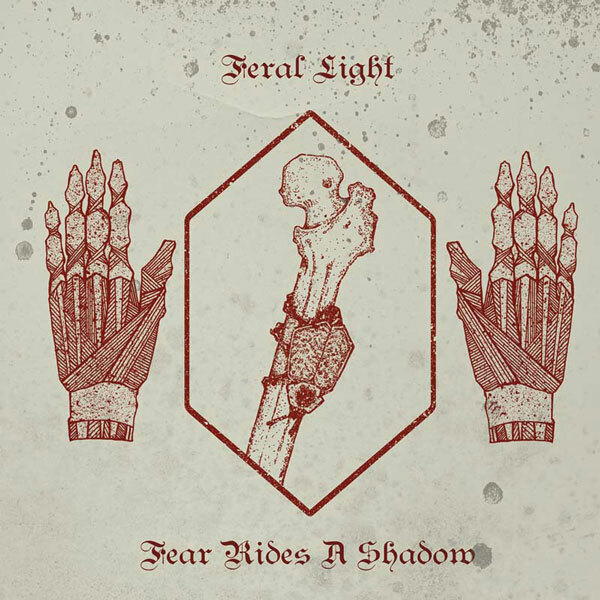 Feral Light first seeped into the consciousness of the underground in 2015, a whispered nightmare that crept through the streets of their Minneapolis hometown. A two piece that combines the talents of guitarist/bassist/vocalist Andy Schoengrund (ex-Manatheren, ex-Wolvhammer) and drummer Andrew Reesen, Feral Light’s early releases like the EP, A Sound Of Moving Shields and debut full length album Void/Sanctify were savage invocations of battle, raw hymns to savagery and conflict. With new album, Fear Rides A Shadow, they have turned their infernal gaze inward. They have called out to the devils that dwell within, the dream beasts that haunt our imaginations and secretly feed the fires of our hatred – summoning them, inviting them to be heard. With masterful songs like the troubled ‘Wake’ or the chilling, unnerving assault of ‘Cold Monochrome’ Feral Light draw us relentlessly, remorselessly into the pit of our own despair. From aching, damaged tones to rampaging, furious riffs and uncontrolled whirlwind assaults on the senses, Feral Light lead us down only the darkest paths, their music teetering on the brink of collapse, mirroring the precarious state of our souls. At any given moment Fear Rides A Shadow threatens to fall from the edge of reality, hurtling into the abyss with a cold claw clenched fiercely about our hearts. Mastered by James Plotkin (Conan, Electric Wizard etc) Fear Rides A Shadow has a visceral power, a sinewy, muscular structure capable of both impressive rigidity and disturbing contortions. Already it threatens to taint the coming year with a poisonous, spreading stain, the colour of old blood and rusted razors. Housed within a stark and striking sleeve, designed by Unexpected Specter (Lair Of The Minotaur etc) this album will not be forgotten by those whose inner monsters heed its call. 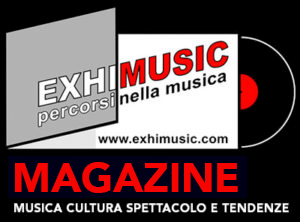 Oggi è Mercoledi 24 Aprile 2019 – Sono le ore 02:18.